Jennifer Perillo and I first met (or got to know one another better) at the "Are You Ready to Party" Electrolux event Kelly Ripa and Tom Collichio hosted almost two years ago. Typing that makes my head spin. I can&apos;t believe it&apos;s been almost two years. So much has changed-- for the both of us. 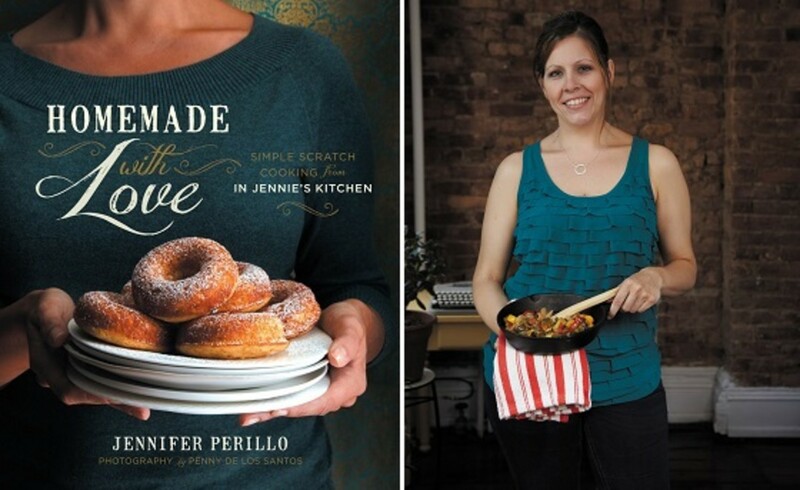 Jennifer continues to write her inspiring food/lifestyle blog In Jennie&apos;s Kitchen and just released a beautiful cookbook, "Homemade With Love: Simple Scratch Cooking from In Jennie&apos;s Kitchen." I reviewed it for Elizabeth Street here. I&apos;ll just add that Jennie is one of my favorite people to follow on Instagram. The way she presents her meals, just run of the mill breakfast, lunch, and dinner, is so charming and inspiring, it&apos;ll make you think differently about what and how you serve. Check her out. I just know you&apos;ll love her too.